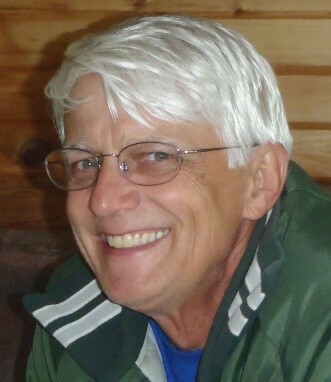 Ronald William Noaeill, 66, died Tuesday June 27, 2017 at Unity Hospital in Fridley, Minnesota with his family and friends by his side. Ron is survived by his mother, Mildred; his 4 children, Micah (Leah), Nikki (Eric), Terry (Jessi), and Richard (Amanda), 13 grandchildren, Jordan O., Makenna, Jordan R., Alexis, Peyton, Aiden, Ethan, Bailee, Ellis, Mia, Abigail, Tyler, and Zakary; and 8 siblings Annie, Steven, Barb (Jake), Janet (Randy), Cheryl (Tommy), Patti (Kerry), Mike (Mary), and Gail (Jeff). He is proceeded in death by his father, Donald and sister, Nancy. Ron was born on April 8th 1951 in Bemidji, Minnesota to Donald and Mildred Noaeill. He graduated from St. Francis High School in 1969. He joined the Navy the summer after graduation and served on two ships, the Francis Marion and the Eldorado. He was honorably discharged from the Navy in 1975. He married Leanne Lemke on April 29th, 1972 and over the next nine years the couple welcomed 4 children; Micah, Nikki, Terry, and Richard. He was a devoted and loving father who taught his children to swim, fish, and enjoy life. A beloved grandfather who enjoyed coloring, playing games and watching movies with his grandchildren. Ron loved to live on Blue lake and watch the birds. He was an auto enthusiast and a talented artist. Ron was an outdoorsman who enjoyed to hunt and fish. A very social man who was quick with a joke, a pinch or a warm hug. He was a kind and generous soul, always putting other’s needs before his own. His smile and laugh will live forever in the hearts of his family and friends. Funeral Wednesday, July 5, 2017 at 11:00 a.m.
Burial at Fort Snelling National Cemetery on Thursday, July 6 at 10:15 a.m.